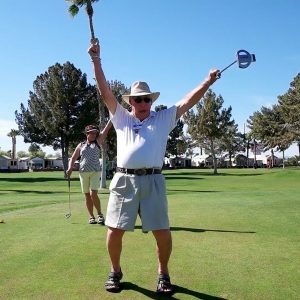 Westwind RV & Golf Resort is definitely more than a resort, it’s a lifestyle worth living. Activities and amenities to suit any lifestyle await you at this five star resort located in the foothills of sunny YUMA, Arizona. Westwind RV & Golf Resort was designed and built in 1985 with you in mind. Your active lifestyle has been the pattern followed to provide a resort that caters to your needs. The many changes and upgrades completed in the summer of 1998 will further enhance your desire to be a part of Westwind RV & Golf Resort. Westwind RV & Golf Resort received the 2008 Best of Yuma Award by the U.S. Local Business Association in Washington, D.C. We are very proud to be chosen the #1 recreational vehicle park in Yuma. Receiving this coveted award is truly an honor that we are proud to have.